Creil, France, had a faience factory as early as 1794. 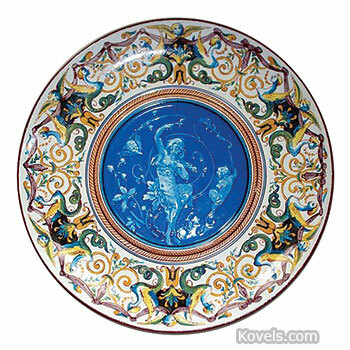 Creil produced faience similar to Wedgwood's Queen's Ware and decorated it with printed, not hand-painted, details. The company merged with a factory in Montereau in 1819. It made stoneware, mocha ware, and soft paste porcelain. The name Creil appears as part of the mark on many pieces. The Creil factory closed in 1895.